Murrieta Valley Unified School District - MVUSD is located in Murrieta, California on the southwestern edge of Riverside County. The district’s award‑winning academic program educates 23,385 students from transitional kindergarten through high school at 20 campuses. With passage of a modernization bond measure in 2014, the district embarked on a major renovation of its school buildings, including the installation of classroom AV systems. The AV system installed in each room includes a projector, a pull-down projector screen, a document camera, and an Extron WallVault Classroom AV switching and control system. 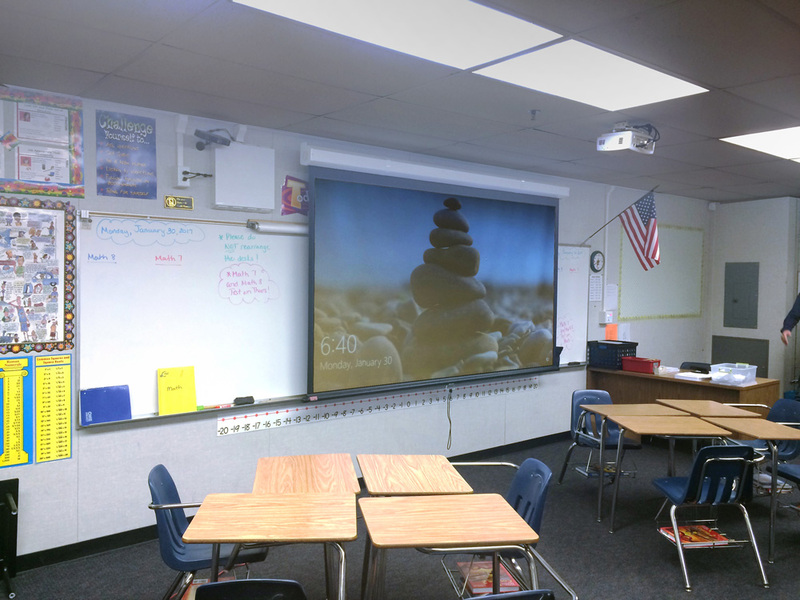 MVUSD’s Olien notes that short throw projectors were chosen over flat panel displays to conserve available whiteboard area and to eliminate the expense of reinforcing walls to support the weight of flat panel displays. The projection screen is pulled-down in front of the whiteboard only when the projector is in use. Teachers use the audio features of the WallVault system for recorded presentations, live lectures augmented by teacher microphones, and background music. 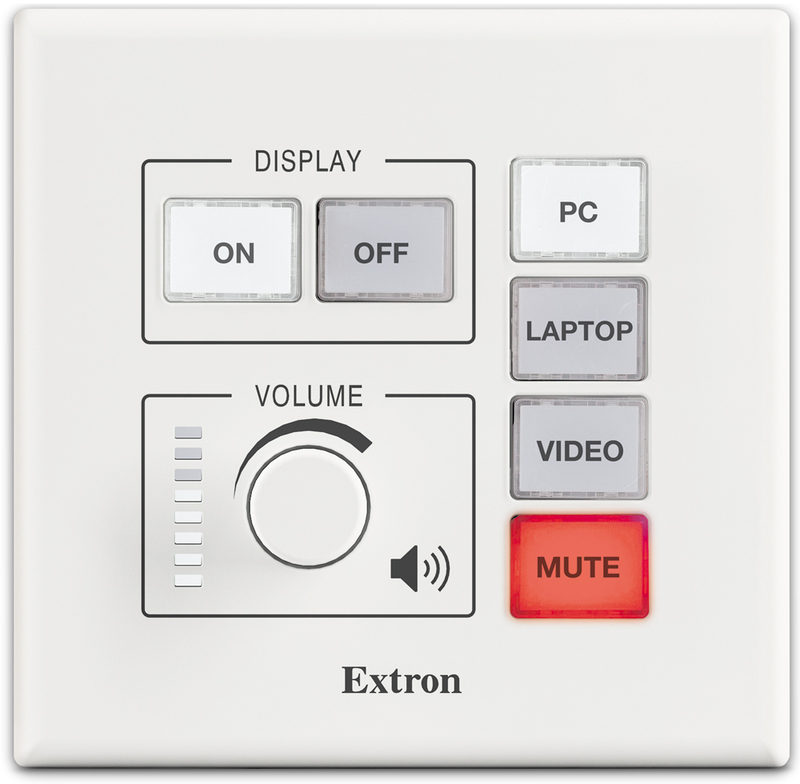 “The audio capabilities of the Extron system are vital to our teachers; these features are used all day long,” says Olien. Jonathan Pratt, Senior Systems Engineer for MVUSD, uses Extron’s GlobalViewer® Enterprise AV resource management software to track projector lamp usage to proactively schedule replacements and to assess reliability. 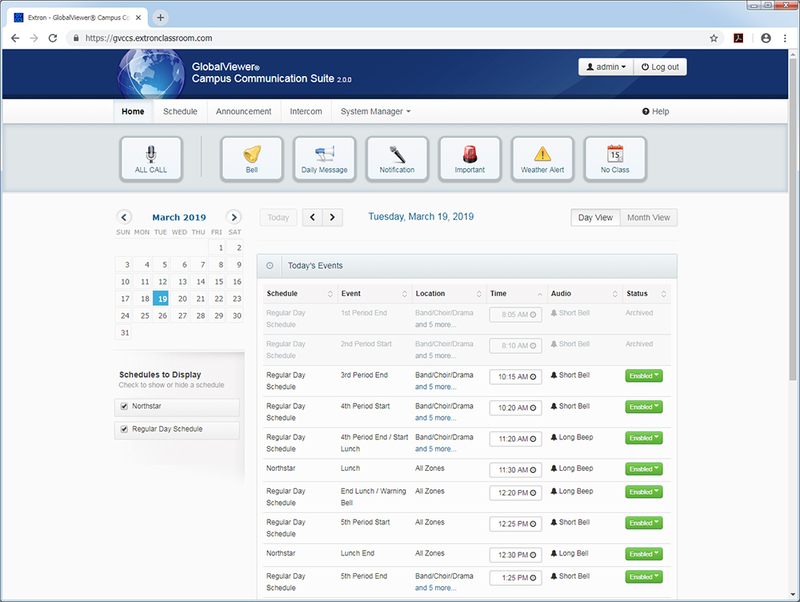 The district is also evaluating GlobalViewer Campus Communications Suite to modernize campus bell and PA systems. The Avaxat Elementary and Alta Murrieta Elementary campuses are testing the suite to replace aging 25-year-old systems that are difficult to maintain. The district is also examining the intercom capabilities of the system, which provides two-way communication between each classroom and the central office. Extron’s WallVault Digital System was the ideal choice for Murrieta Valley USD’s AV technology upgrade.